Kolkata, or Calcutta as we all fondly still call, is a city that has been a host to various religions and nationalities like British, Chinese, Jews, Sikhs, Gujratis, Biharis etc. All these settlers with time have brought in some unique changes to the cuisine of Kolkata. One such famous and irrefutable change in the local cuisine was brought in by The British rule. 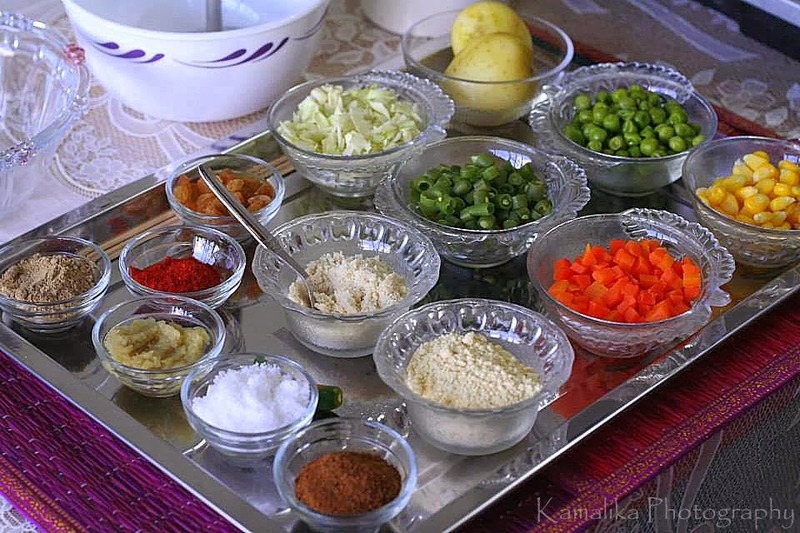 Usage of local ingredients, restrained use of spices and western techniques gave birth to a unique cuisine which lived especially on a variety of 'Finger food' popularized in the clubs of Kolkata. 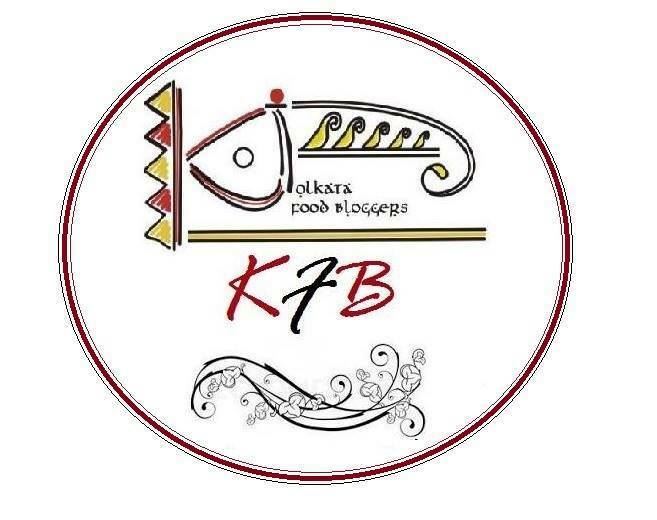 We are proud to announce that Kolkata Food Bloggers are working as co-organizers of the annual event Nutrifest, 2013 organized by KPC School of Nutrition and Food, Kolkata. Extensive research has been done by the KPC team to dig out recipes and history from places like Rajbari's to restaurants and clubs. The theme for this year is "Laatsaheb er Bangali Khanshama" which means the influence of British rule on Bengali cuisine. The search was for food which originated in the British era and can still be found in some prestigious clubs of Kolkata. 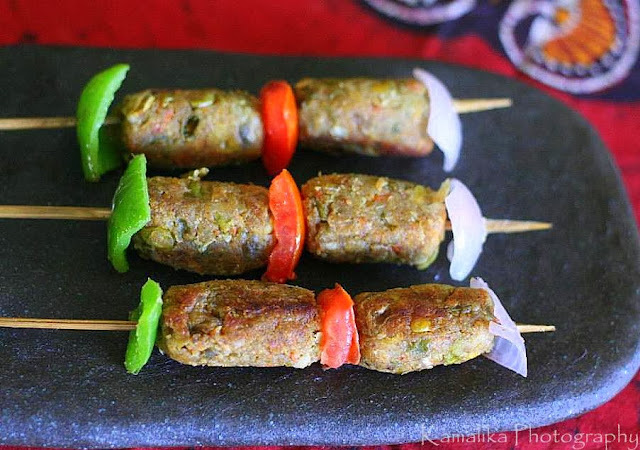 The recipe that is shared here today is one of the by-forgotten ones and is uniquely named Burra Memsaheb-er vegetable Seekh Kebab (Bada Memsaheb ka Vegetable Seekh kebab) Along with its unique name, the kebab is supposed to be constructed of three elements each of which gave a Sweet, Spicy and Tangy flavour to it. I have tried to recreate this famous dish by incorporating all the three flavours into the kebab. For the sweet flavour I have used Raisins and sweet corns, for the spicy flavour I have added green chillies and red chilli powder and for the tangy flavour, I have used chaat masala and lemon juice. Kolkata Food Bloggers got together to make a video shoot of this recipe along with some others. The video link shall be uploaded to this blog post as soon as it is released. Take 1/2 tbsp oil in a pan and saute the ginger-garlic paste and the chopped green chilly for 2 minutes. Add the chopped cabbage and saute for a minute. Remove from heat and keep aside. Take a big bowl and add potatoes. Mash them. Add the boiled vegetables like green peas, sweet corn, carrots and french beans and mash them well. Now mix in the ginger-garlic, green chilly and cabbage mixture. Add in salt, red chilli powder, chaat masala and roasted jeera powder. Now add the cashewnut powder(made by simply grinding 5-6 cashewnuts), roasted gram flour/besan (made by dry roasting gram flour/besan) and chopped raisins. Mix well. Soak some wooden skewers in water for 1/2 hour. Take a little portion of the vegetable mixture and press it around the wooden skewer shaping it as a cylinder. Make two such shaped cylinders on one skewer. Line a baking tray with an aluminium foil and lightly grease it with oil. Place the skewers on it and bake for 15-20 minutes or till golden brown from all sides. You will require to turn sides in between for uniform browning. Take 1/2 tbsp oil in a pan and saute the green bell pepper, tomato and onion squares. Insert the sauteed garnishing in the skewers and serve with a yogurt-mayonnaise dip where you add equal quantity of hung curd and mayonnaise and adjust seasonings. 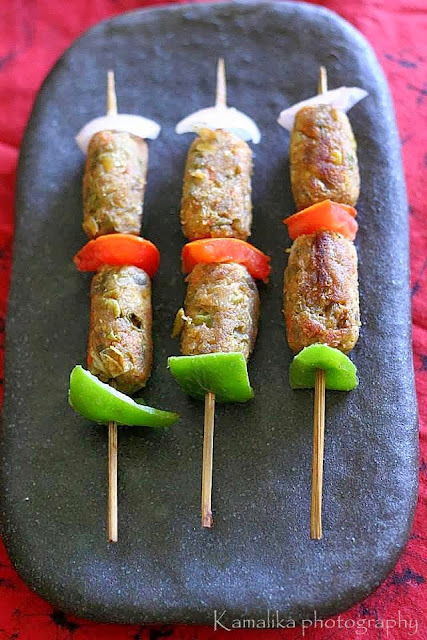 Add a dash of lemon juice on top of the kebabs before serving. You may reduce the spiciness to suit your taste buds by not adding the green chilly. In case, you cannot shape the kebabs on the wooden skewer, shape them into cylinders and bake them and later thread them through the skewers. In case the vegetables feel hard while mashing, roughly grind them in a mixer and then add to the other ingredients. A special and heartfelt note of thanks to Kamalika Chakrabarty for providing me these lovely pictures which were taken during the video shoot. Check some more interesting recipes from the British era like Deemer devil and Country Captain Chicken on these links. Disclaimer : The entire history and recipe has been provided by KPC team. I have just tried recreating the original version with my little changes. Wow. That looks so good. Really very nice. Happy to share. Thank you for liking it. perfect, simple and great looking kebabs. Hello Suchi, thank you for dropping by. I having stayed in Kolkata since birth had never heard about this dish myself. Thank you for liking it. Thank you Divya, this kebab is indeed very healthy being baked. Definitely gonna try this recipe. Everything came together for a delicious outcome, what more with our all time fav of potatoes. Thank you Nava-K, it tasted amazing. 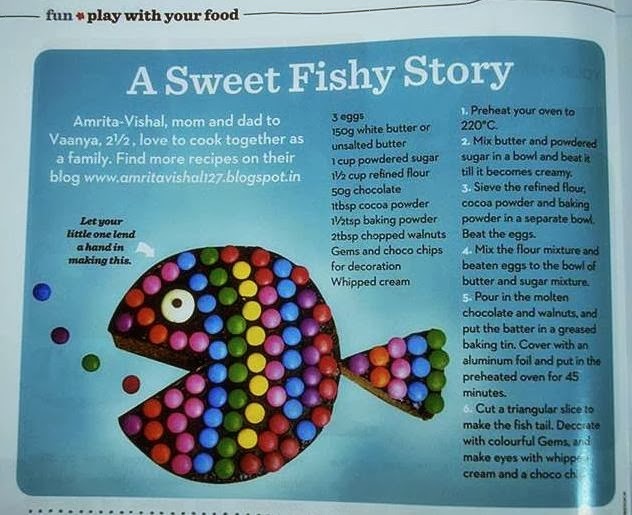 My mouth started watering just by reading the recipe ! Cannot wait to try out this Kabab. Thank you Pravina, I am sure you will love it. This vegetarian dish looks delicious! Love the medley of ingredients. Thank you Kumars. We repeated this yesterday for a party and they were such a winner! Lovely looking seek kabab. Already drooling over here by the look of it.